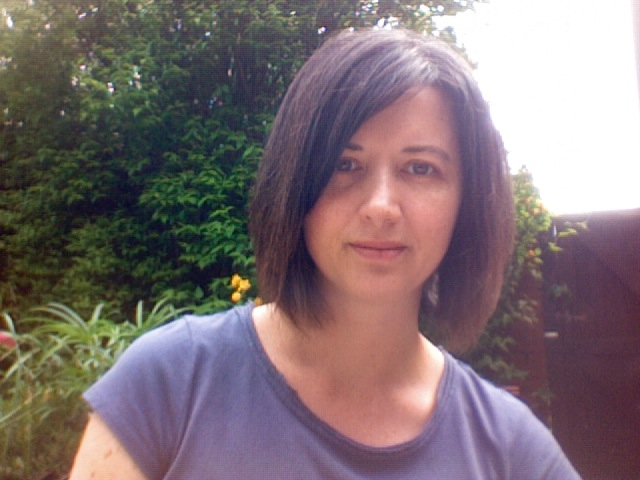 I'm joined today by Augusta Blythe, the author of two YA urban fantasy ebooks, Winterborne and Ravenstoke. Hope you guys will enjoy the interview. Don't forget to enter the giveaway! Sixteen-year-old Mia Winterborne is destined to be special. Details are sketchy, though, as her dad disappeared with all the answers when she was five. Mia only knows that she’ll inherit her kickass superpowers on her seventeenth birthday. Helping Mia prepare for her anticipated ascendancy is Loie Bryce, her best friend and eternal sidekick extraordinaire. The girls’ intense friendship has never wavered until now, when Andreas arrives in Salcey Ridge. They both fall hard for the British hottie, who quickly becomes a fixture in their lives. When they discover that Andreas is not who he appears to be, the frightening reality of Mia’s powers finally hits home. The nearer Mia’s birthday draws, the more the danger escalates and long-buried lies are exposed, putting the girls on a path that they never expected. In WINTERBORNE, Loie and Mia's seventeenth birthdays brought more drama and surprises than they ever expected. 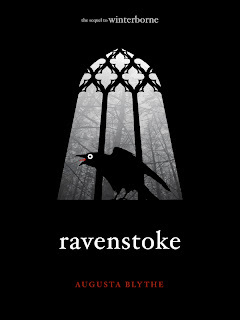 Now, in Ravenstoke, they are adjusting to the aftermath and struggling to keep those newfound powers in check. When Andreas is called away to England under mysterious circumstances, a new guy is sent to Salcey Ridge in his place. Cian is smarmy and cocksure and Loie wants nothing more than to unleash a hellhound on him. Unfortunately, Cian isn't the only complication in their lives as the girls must also contend with the reappearance of Mr. Winterborne himself and Loie's most dreaded fear of all - a part in the school musical. Can the girls survive the rest of junior year unscathed? Augusta Blythe is the author of Winterborne and Ravenstoke, YA urban fantasy novels. She is also a qualified lawyer on two continents. In addition to writing, she loves to travel and likes the idea of gardening more than actually digging in dirt. She would one day like to have a vegetable patch and live by the sea. Born and raised in America, she currently lives in England with her husband, two children, a cleaner shrimp, a clownfish, and a mine urchin. E: Welcome to Bookish, Augusta! Please tell us a little bit about yourself. AB: I am a mother, writer, lawyer, wife (not necessarily in that order). I'm American, but I live in the UK. My kids and I are dual citizens. I am left-handed, a Leo, and can bend my fingers back to a disturbing angle. I cannot, however, roll my tongue. E: Who or what inspired you to write Winterborne? AB: We were on a drive down to Dorset for a vacation and we passed a sign for a village called Winterbourne (with the 'u'). I liked the name and wanted to use it for a story. E: How would you describe your book in 5 words? AB: Love, life, death and BFFs. E: Are any of your characters inspired by people in your own life? Which one of them would you say is the most like you? AB: In Winterborne, Loie's Gran is based on my own grandmother. She was one of those people without a filter, said whatever came to mind, however mean or inappropriate. It makes her sound awful, but she was actually hilarious and she liked people who could take it and dish it right back. I sprinkled a little of myself in both Loie and Mia, but neither is more like me than the other. E: Have you always wanted to be a writer? At what point in your life did you decide that writing is something you want to do? AB: I've been writing stories my entire life. I have boxes of books, screenplays, short stories, etc that I've written over the years. I wrote them for myself. I wrote a book during law school because I couldn't stop myself. When I was practicing law, I wrote screenplays because I could write them more quickly and they required less intense focus. I've placed in the Nicholl Screenwriting Fellowship but haven't sold anything. E:Do you ever experience writer's block? If so, how do you deal with it? AB: I don't experience general writer's block, only for a specific part of a story. My cure for that is to go write something else until my head clears. It's usually a mood problem more than a plot problem so if I'm writing a part of the story that requires angst and I'm in an upbeat mood, I write an upbeat section of the story instead. Or I go work on another project. I'm always working on multiple stories at once so it's easy to shift back and forth. E: If your book had a soundtrack to accompany it, what songs would be on it? AB: Ravenstoke has a lot of Keane, for reasons that will be obvious when you read the book:) Also, a lot of Glee cover songs because there is a whole school musical subplot. Yes, I'm a Gleek! E: What's next in line for you? Are you working on a new book now? AB:I'm working on the third book of the Universe Unbound series, The Yawning Void. I think it will be the last of the Loie-Mia-Andreas story, but I may continue it with other relevant characters. I'm waiting to see how I get on with the third. I'm also about to publish a middle grade fantasy book called In the Land of the Sapphire Sea. E: Valentine's Day is approaching! Could you share with us your TOP 3 romantic reads? AB: They are probably not everyone's idea of a romantic read because they're not exactly upbeat stories, but I would say The English Patient by Michael Ondaatje, The Blind Assassin by Margaret Atwood, and Wuthering Heights by Emily Bronte. E: If your book was was being adapted into a movie, and you could pick the cast, who would you choose? AB: The lovely English actress Imogen Poots (28 Weeks Later) as Loie; Nina Dobrev (Vampire Diaries) as Mia; Hunter Parrish (Weeds) as Andreas; and Darren Criss (Glee) as Cian. I see it more as a TV series, though! Augusta, thank you so much for joining us today! I'm looking forward to reading both your books! I hope you guys enjoyed the interview, for more information about Augusta Blythe and her books, please visit his website: Augusta Blythe. 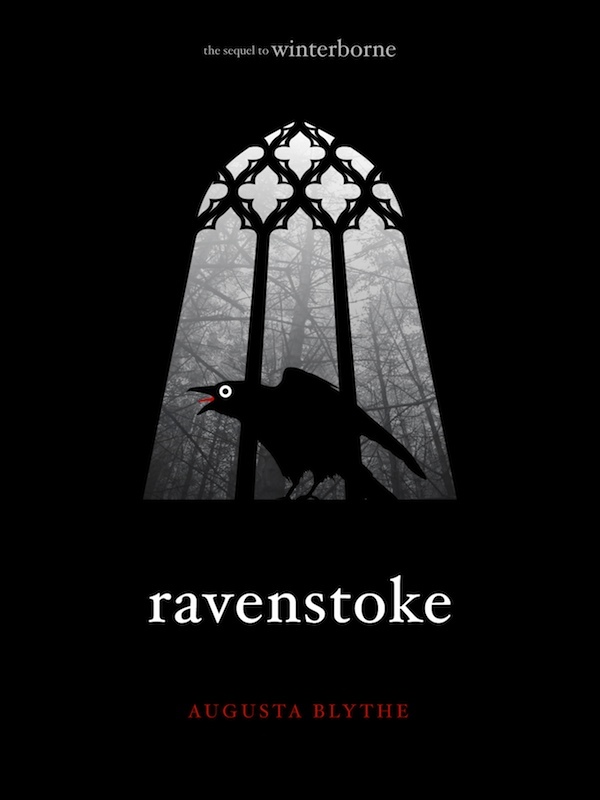 Ebook copies of Winterborne and Ravenstoke are up for grabs! To be entered in the draw leave a comment on this post! Thanks for awesom interview and the giveaway. Fabulous books,I would love read them. Great interview! I love your cast. Thank you for the giveaway! Wow, those covers are really striking. I was immediately caught by them. Thanks so much for the giveaway! I'm back! Anyways, wonderful interview and wonderful giveaway, as always. I hope all is going well with you! I hope the move went well! The books sound great, and I enjoyed the interview :) Onto my to-read list! I really love the covers - they are so simple yet still eye-catching. 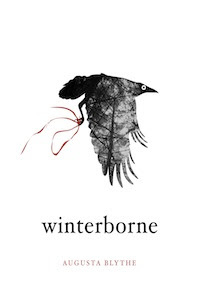 Winterborne has been on my to-read list for a few months now.. Thanks so much for the chance. I love the sound of these. Awesome giveaway!! These books are both on my TBR list and I would love to be entered to win a copy:) Thanks so much!! I like using songs to connect to books I read. It helps bring back moments in a story. I must, must, must win these books! Please... with sugar on top! Yay for Gleeks! Sounds like some great books. Can't wait to get my hands on them! Great interview! I enjoyed reading about Ms. Blythe's grandmother. My grandmother also has no filter and sometimes the things that she says are too funny! Thank you for the amazing interview and this wonderful giveaway. This looks like it will be an amazing series. The series seems intriguing! It sounds exciting and, well, just exciting! Great interview! Thanks for the giveaway! My sister knows how to bend her fingers back to a disturbing angle too! Is a bad habit of her hahaha! Thanks for the giveaway and the review! Great interview. And this series sounds amazing. Gotta read it.